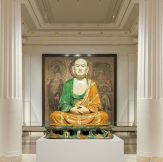 The Sir Joseph Hotung Gallery of China and South Asia opened on 14 December after a full renovation and refurbishment (some sections of the gallery will be accessible from the 10 November 2017). 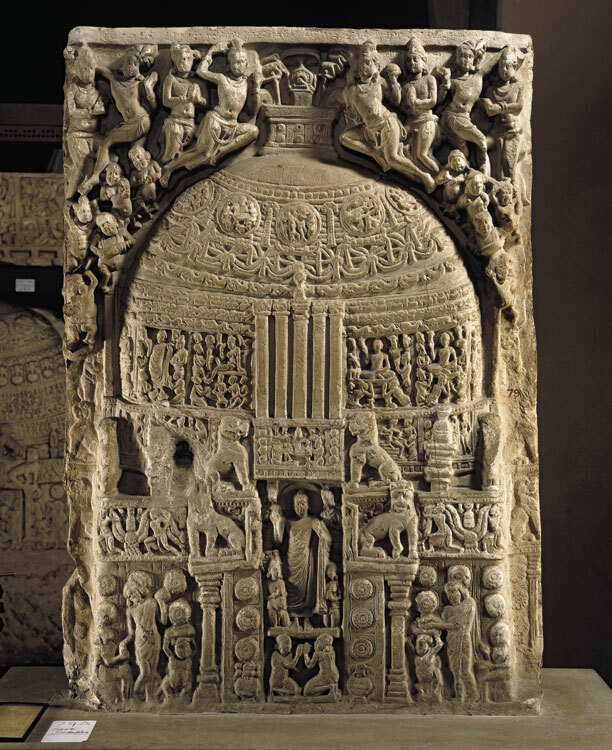 The display includes a new narrative for China and South Asia which brings the story up to the present day. 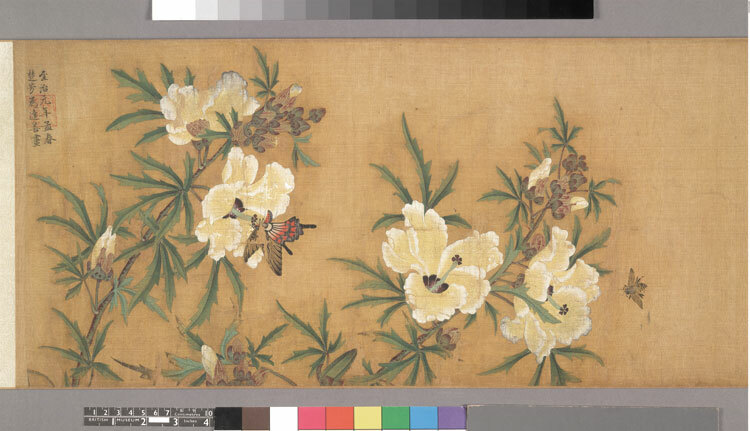 This renovation means the Museum can include and rotate different types of objects such as paintings, prints and textiles which need regulated conditions for display. 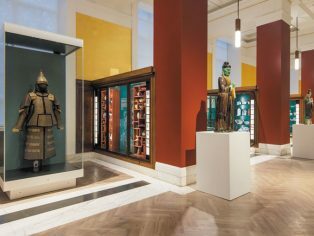 The gallery introduces new research that will enable visitors to engage with these extraordinarily important parts of the world. With new lighting and design, the display takes visitors through the fascinating histories of a large part of the globe. 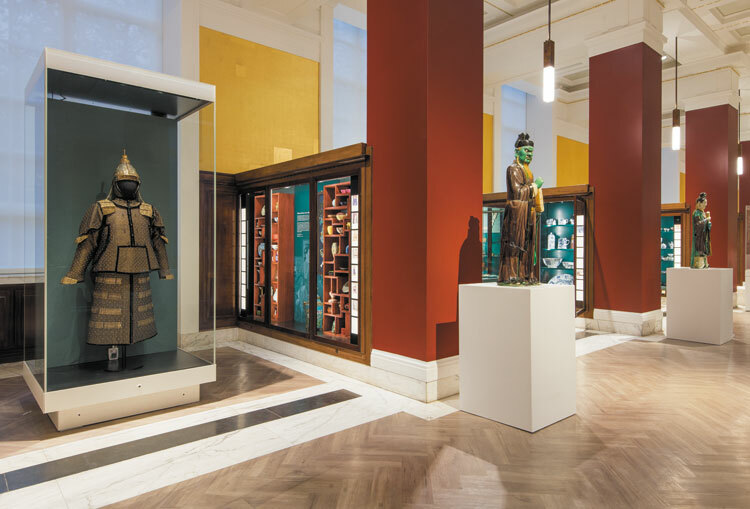 The gallery presents the histories of China from 5000 BC to the present with the space divided into bays that explore Chinese history through its material culture. 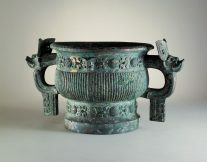 China’s unique and highly unusual culture provides new avenues of understanding of the rich and intricate history of a quarter of the world’s population. 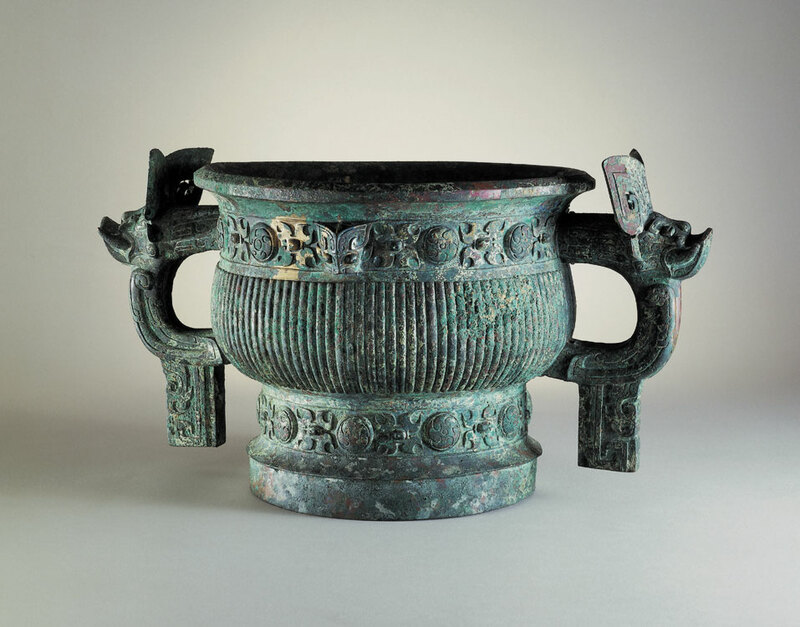 Research has now shown that early China was joined to the rest of Eurasia across the steppe and by sea, as well as along the famous Silk Roads. 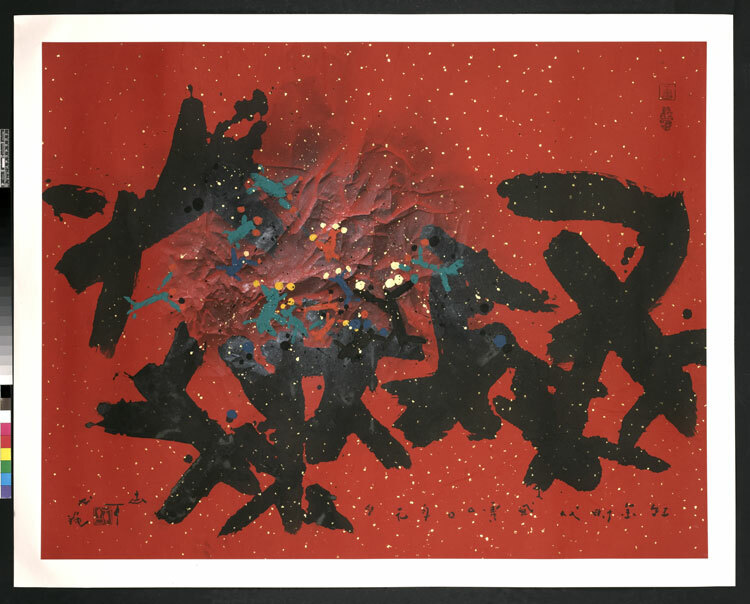 The new environmental conditions means that China’s principal arts of calligraphy and ink painting can be shown in regularly changing displays. 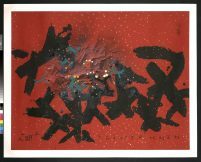 The spectacular modern work of the experimental calligrapher Gu Gan can be appreciated alongside the earliest scroll to reach Britain, which came at the end of the 1700s. 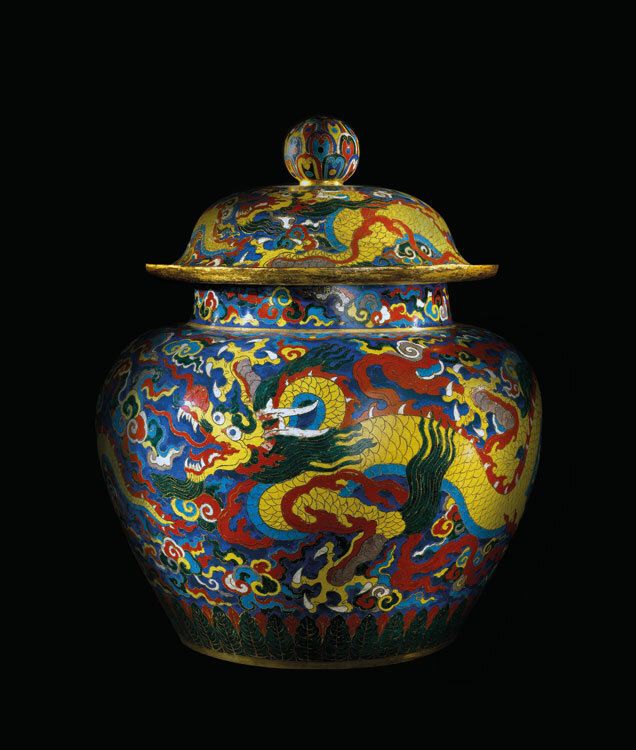 Materials unique to China, such as jade, silk and porcelain are of exceptionally high quality and are discussed in terms of their historical contexts. 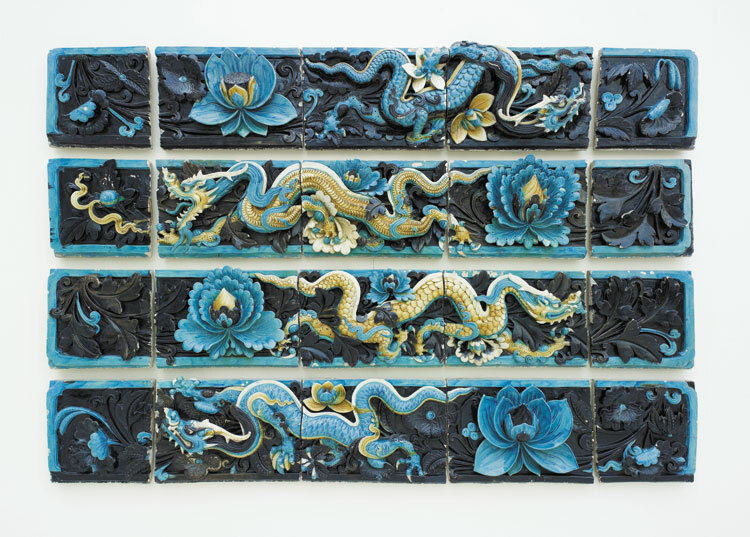 A set of magnificent Ming dynasty dragon tiles is the first object that you see. 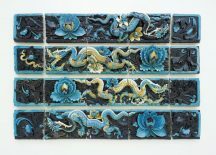 These beautiful, large, high-relief tiles were made in sets to form a series of friezes showing blue-and-yellow dragons among lotuses. 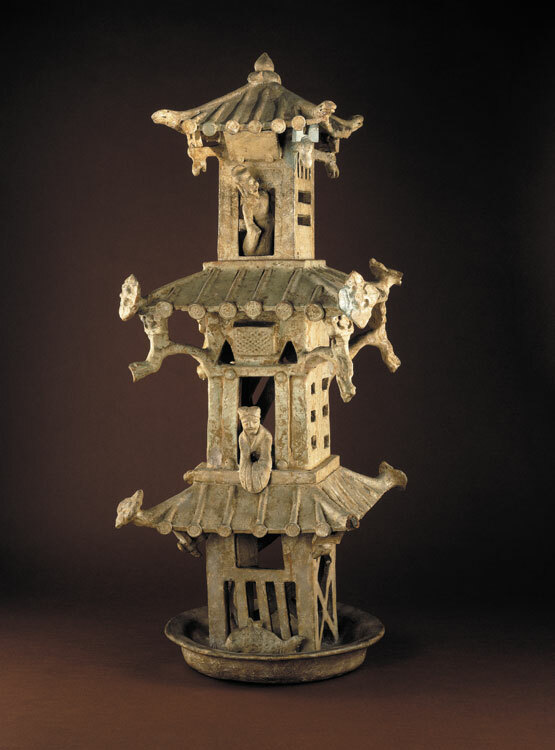 For many years, they were part of a garden screen, but originally they ran along the ridge of a building in Shanxi province, supposedly protecting it from fire, as dragons are associated with control of the water supply. 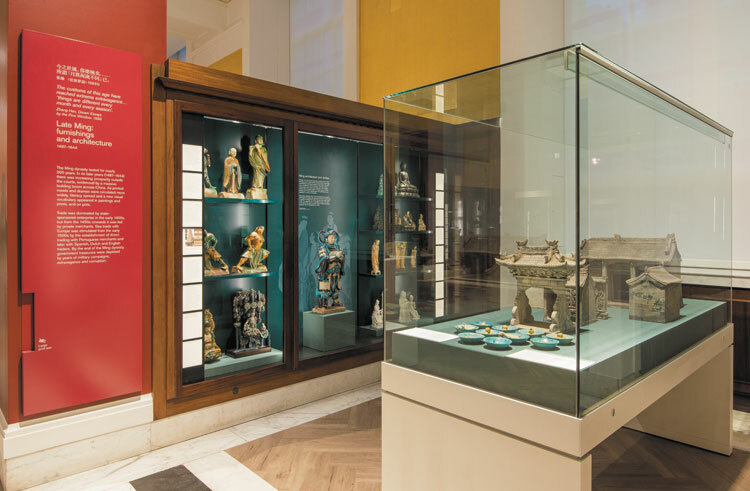 The South Asia displays are also be presented chronologically, though regional variety is greater here than in China and some displays are entirely regional. The earliest material dates to 1.5 million years ago but amongst the prehistoric displays, the objects from the Indus Valley Civilisation are the most important. These include examples of the enigmatic seals with their un-deciphered script. 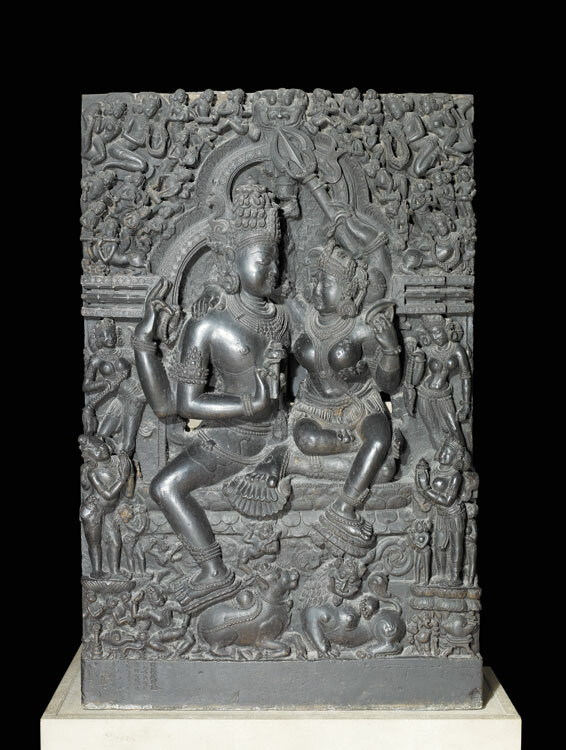 The birth, development and arrival of South Asia’s diverse religious traditions, including Hinduism, Buddhism, Jainism, Islam, Sikhism and Christianity, are presented within a chronological framework through the Museum’s extraordinarily rich collections. Later arrivals such as Christianity and above all Islam are included. 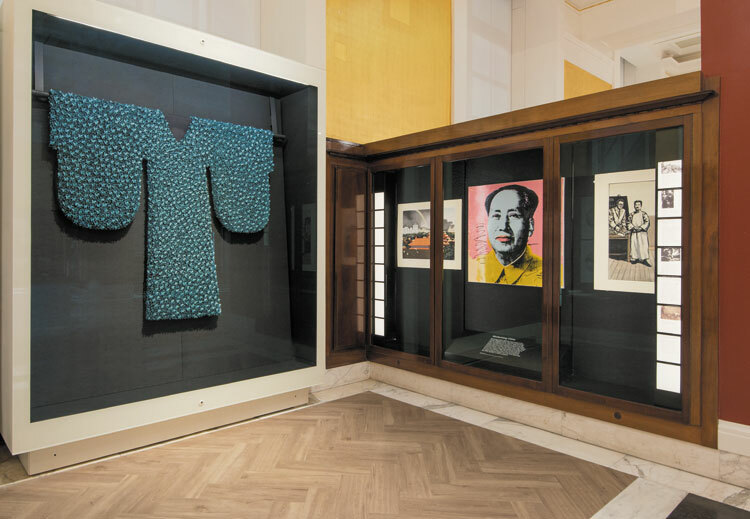 Political and economic change is highlighted through revealing presentations of sculpture, painting, textiles and objects of everyday life. New display will focus on the Mughal period, the Rajput rulers, India under British rule and then South Asia since independence in 1947. 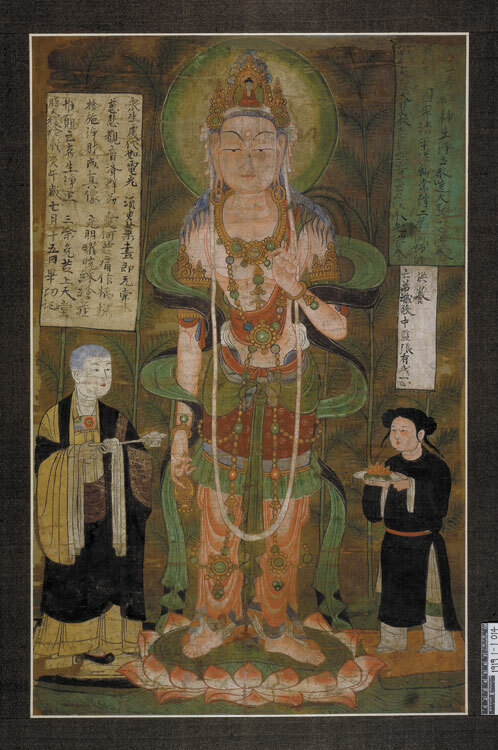 Textiles and paintings from all these periods are also, for the first time, included. 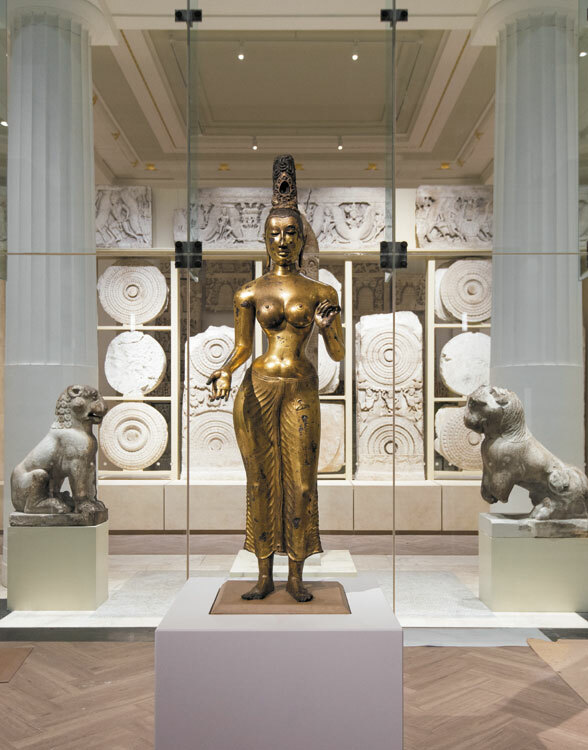 At the far end of the new gallery are displayed the renowned stone sculptures from Amaravati, the most important group of sculptures from Asia housed in the British Museum and the largest group of early Indian sculpture anywhere outside South Asia. 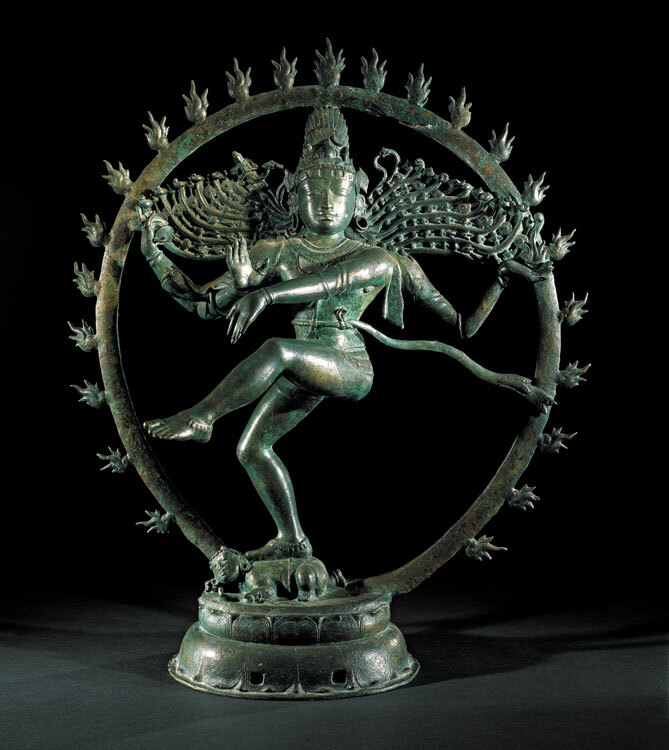 The Buddhist shrine at Amaravati was founded in about 200 BC, and more than 120 sculptures from the site are on display in the Asahi Shimbun Gallery. They are among the greatest treasures in the whole Museum. 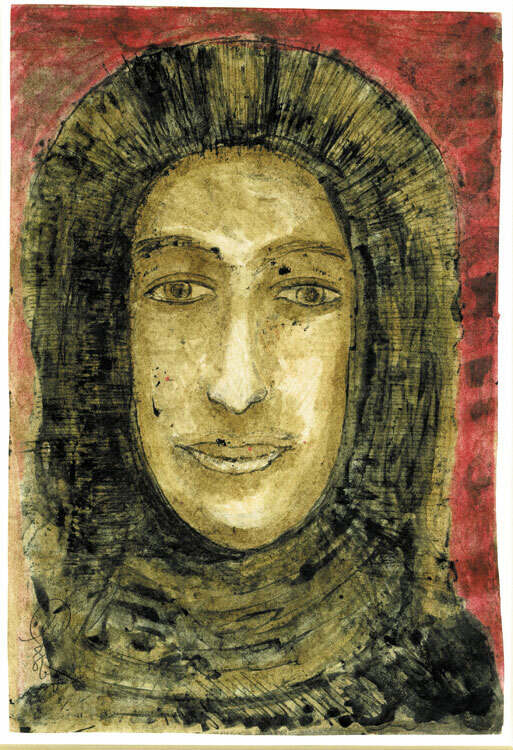 Impressive newly-acquired works of art are on display in the gallery for the first time. These have come to the Museum through gift, bequest and purchase. 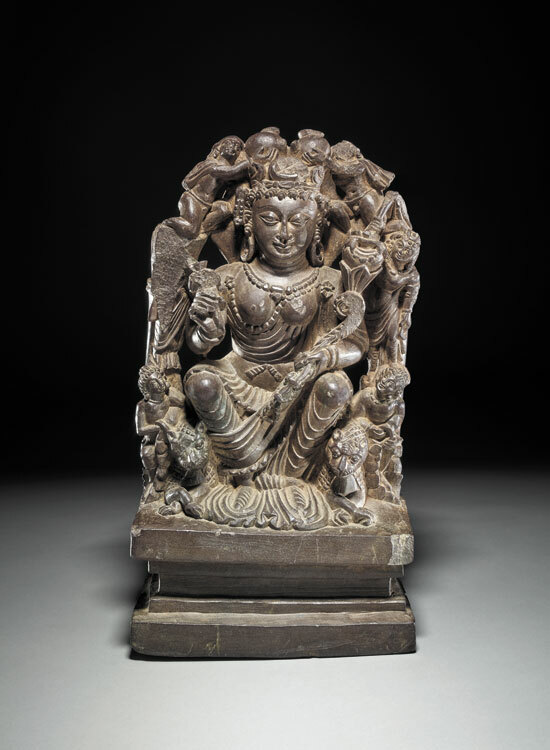 Amongst those from South Asia is the outstanding 6th-century sculpture of Lakshmi from Kashmir, given to the Museum by the Simon Digby Memorial Charity and the poignant installation work by the Bangladeshi artist Naeem Mohaieman, ‘Kazi in Noman’s Land’ which records the extraordinary story of the Bengali poet Nazrul Islam. Meanwhile, new to the China displays and bringing the story right up to the 21st century is a beautiful contemporary porcelain butterfly robe. This refurbishment has been made possible by a generous donation from The Sir Joseph Hotung Charitable Settlement. 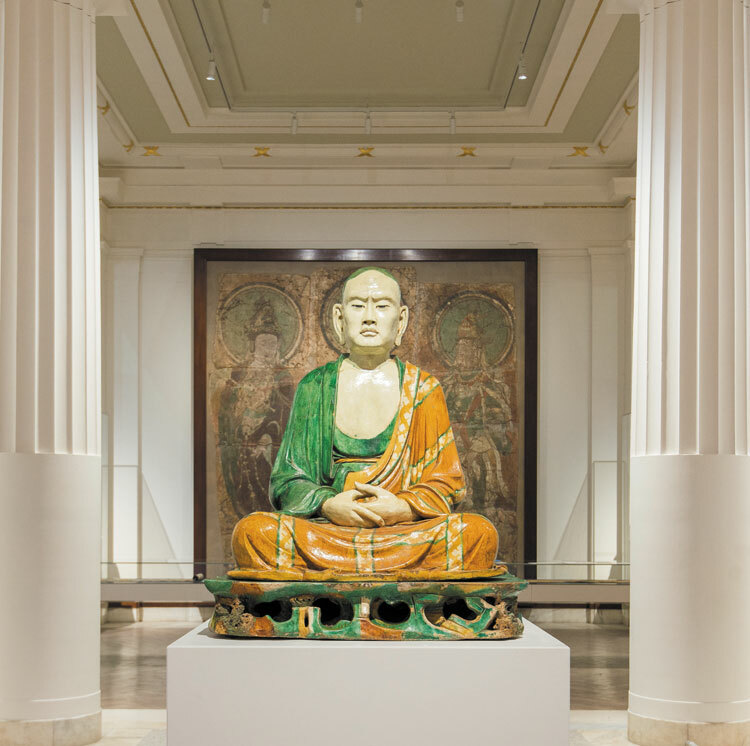 The Asahi Shimbun Gallery of Amaravati Sculptures and the Selwyn and Ellie Alleyne Gallery of Chinese Jade have also been refurbished as part of this major project.